I generally stay away from soda. A former diet Coke addict, I’d long sworn off high-fructose pop for San Pellegrino and prissy bottles of French lemonade. Still, I made the exceptions for the Mexican sodas sold in bodegas and taquerias. Coming in flavors like tamarindo, guayaba, and jamaica and made with real sugar, I was mostly attracted to the unreal colors that radiated out of the coolers and glass cases. 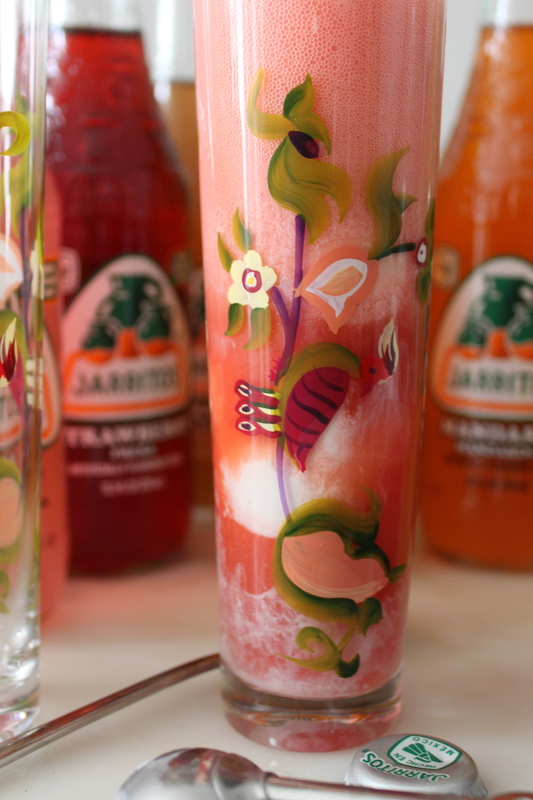 I hadn’t done product reviews until now but when Jarritos offered to send me samples, I thought it would be a fun way to experiment with the flavors I hadn’t tried. 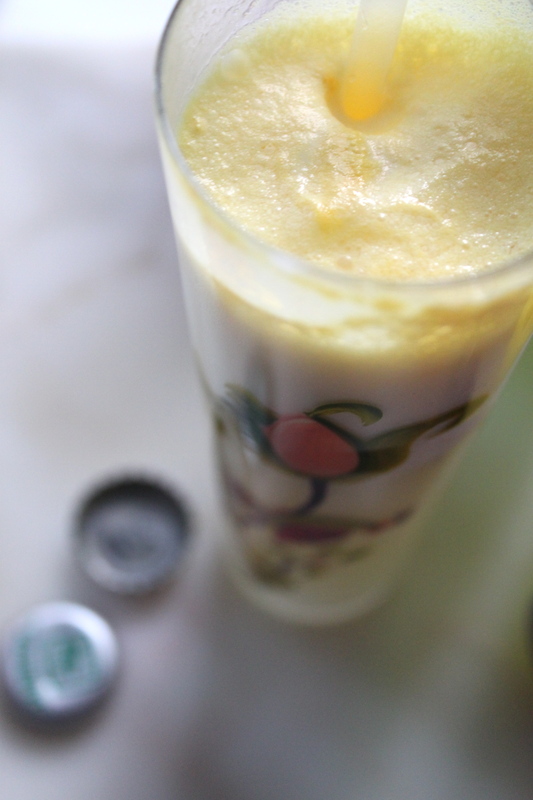 Having spent the summer indulging in egg creams and milkshakes , I decided to make ice cream floats for my friends and find out what they thought. My sister Carmen had an interesting perspective that she offered to write up and post, pointing out more than pretty colors. When you’re classified as a ‘fill in the blank’-American you get to pick and choose from the best of your inherited culture and your geographic influences. You can be ‘the other’ when you want to identify with a group through language or attitude or you can slip into the ‘I was born here, I get it’ when you want to live seamlessly. And even though any given experience can leave you feeling like an incomplete sentence, nothing beats its rewards because, by default, hyphenation makes you an international. It gives you a diplomat’s passport to can come and go as you please, taking the best of every world along the way. 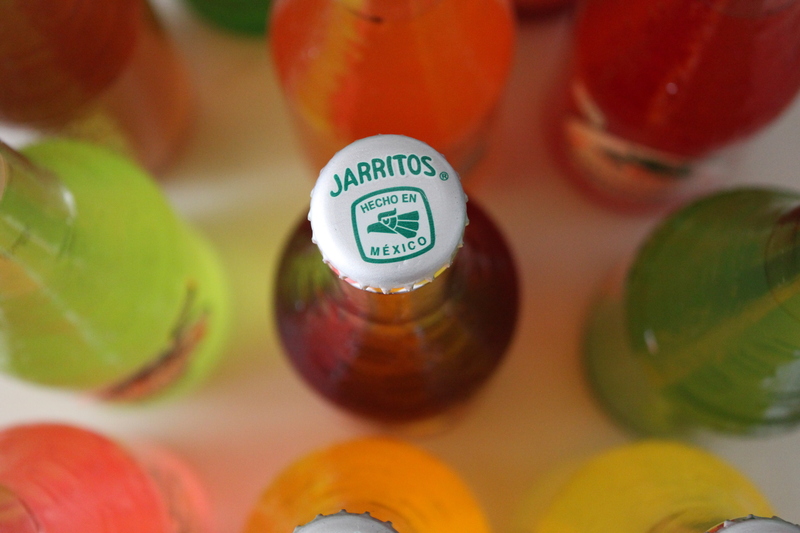 I’d first discovered Jarritos at my favorite take-out place. Deciding to try something new, I asked the cashier to recommend a flavor. In broken English he told me most people like orange. Then I asked him again in Spanish and with a big smile he suggested I try the tamarindo—it was typical in Mexico and he thought I’d like it. Fruity and distinct without that weird over-saturated chemical sugar taste, it quickly became my favorite soda. I was a little embarrassed that I’d never heard of tamarind but thankful my Spanish put me in the know. 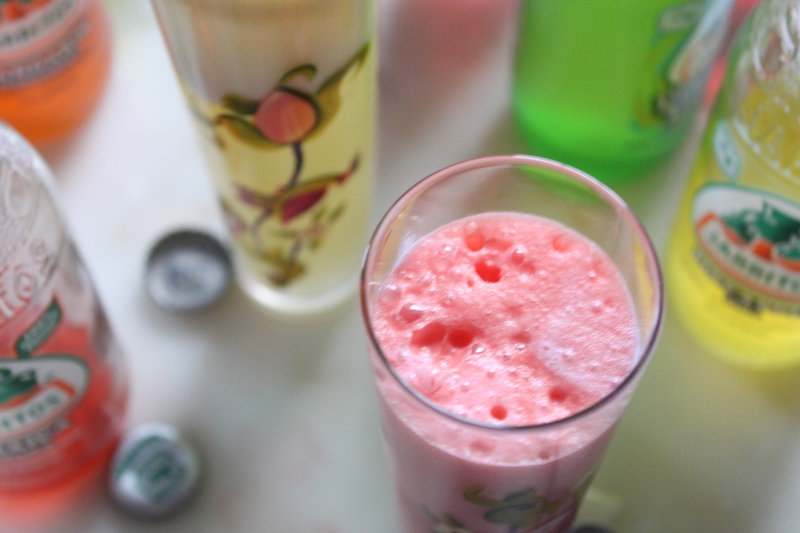 Then Ana Sofia presented me with the guava ice cream soda. 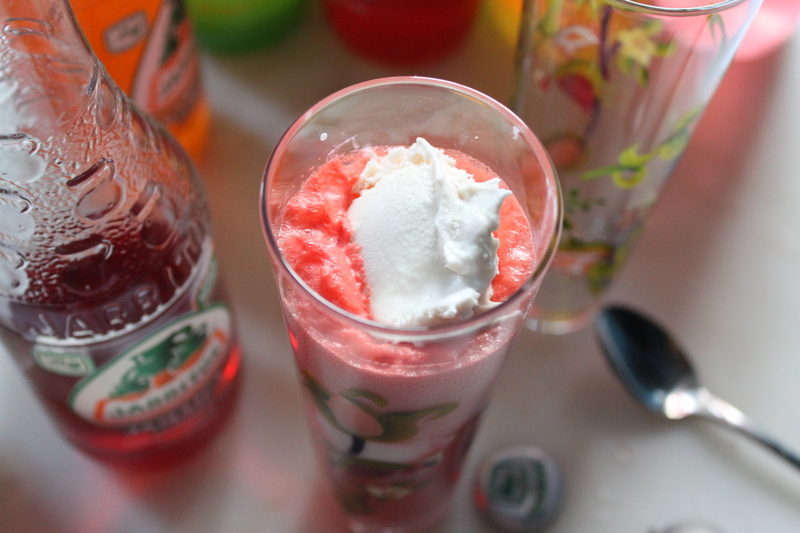 The vanilla ice cream sunk slowly through the fast bubbles of the guava soda as the texture that I knew by feel melded with the flavor I knew by heart. As I narrowly avoided the brain freeze that my enthusiasm tempted, I added another stamp to my diplomatic passport loving the fact that once again, they hyphen lead me to an awesome combination. Carmen Pelaez is a playwright and actor whose works include Rum & Coke, Mariposas and the Loteria Plays. 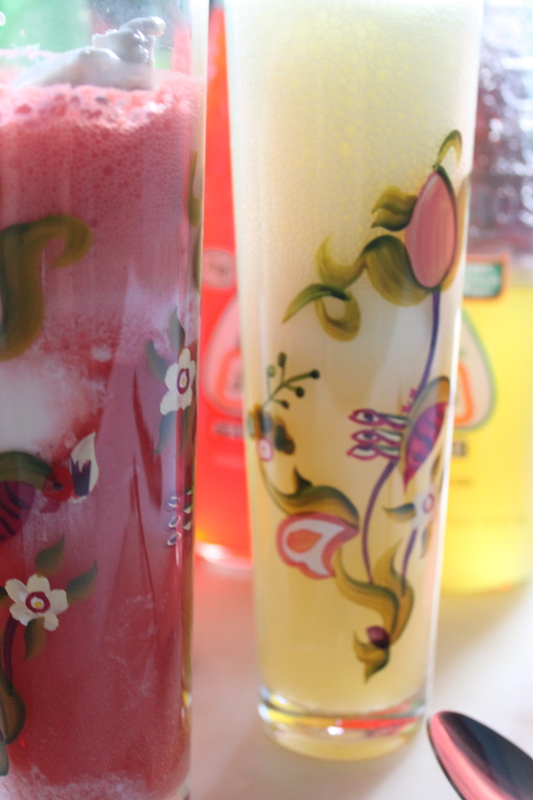 Wow these look so refreshing! I love the glassware- so stinkin’ cute.